The bottom of the league battle as both clubs trying to get out of relegation trouble and I am expecting an open flow with full of attacking plays in this match since BURNLEY (20th) place with 26 points battle with LEICESTER CITY in (18th) place had 28 points. 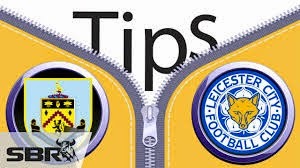 Trouble for BURNLEY as they had failed to score a single goal in their last 6 matches, their attacker must had forgotten their boot or something and I am concern for BURNLEY how they will find the back of the net against LEICESTER CITY! LEICESTER CITY had resulted in 5 times OVER 2.5 GOALS in their last 6 away game, and the current UNDER 2.5 goals opening odds set by the bookmakers on average at 1.85, based on the recent number of goals frequency is not in line with what I am expecting based on Under 2.5 Goals rate, so don’t missed out on OVER 2.5 GOALS in which I am backing on this decision!